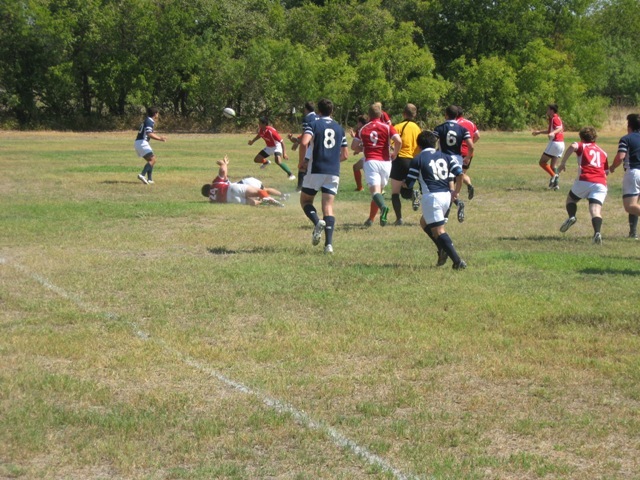 St. Edwards Round Robin 9/24/11. 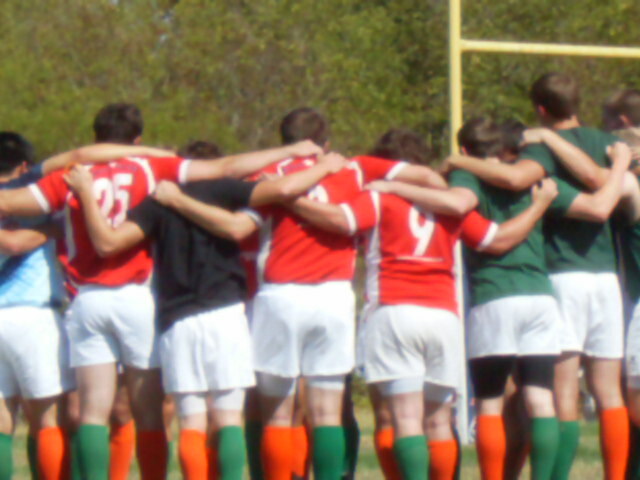 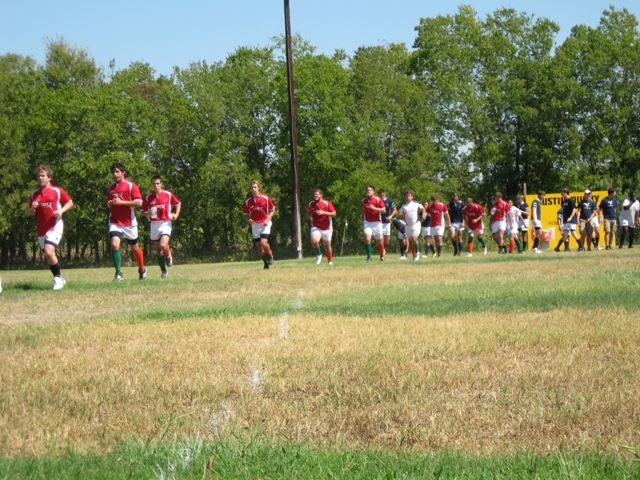 UT Dallas wearing red jerseys because orange and green team jerseys not ready yet. 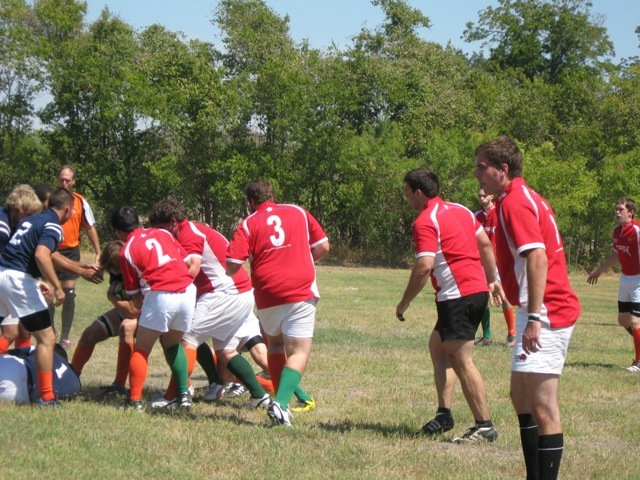 UTD forwards in a maul. 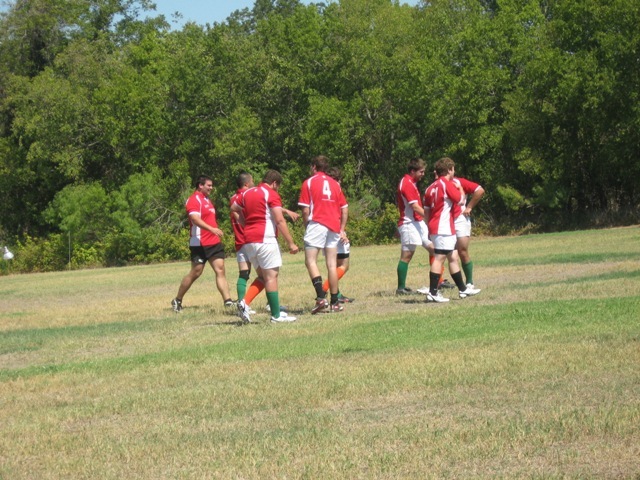 First match for UT Dallas - the beginning.